CD or DVD media is growing in popularity for use in direct marketing, press kits or sending a demo of software or video to increase sales of a specific product. Perhaps you have created what you believe to be the most memorable seminar in the history of the business world. Maybe your company has put together a promotional video that is both informative and enriching. CD/DVD sleeves from Avanti Printing provide a professional finishing touch to your presentation. We know that you have created a CD or DVD that is of the highest imaginable quality, and we want to make sure that the outside matches the inside. Our full color CD/DVD sleeves are sure to impress, demonstrating the wonderful material that lies within. These CD/DVD sleeve printing services will allow you to create a CD/DVD sleeve that creates an unwavering interest in your materials. 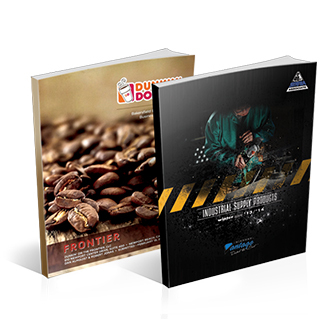 If plan to use CD or DVD media, you need sleeves to protect your investment and convey an image of professionalism that instills confidence in your current and potential customers. Professional graphic design and printing of CD/DVD sleeves provides an expert look to your materials that sets you apart from the competition. We use professional quality cardstock, ink and printing methods in our Irvine facility in Orange County California. You have several choices in CD/DVD sleeve printing, including gloss or matte finish, color and design templates or creating your own images and text. Our professional graphic designers can create a custom design to enhance your branding strategy. Request A Quote CD DVD Sleeves Today!